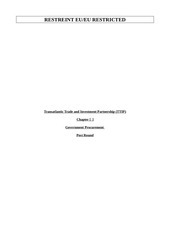 This PDF 1.5 document has been generated by , and has been sent on pdf-archive.com on 22/03/2019 at 13:21, from IP address 193.85.x.x. The current document download page has been viewed 154 times. File size: 345 KB (1 page). Please detail your Value for Money for the duration of the Contract. 4. Note 4. Please use the table to give specific cost benefits or cost avoidance savings quantified in monetary (£) terms. ability to monitor, report on and manage value for money throughout the life of the programme, including any consortia members. Supporting evidence of no more than 250 words, for each section. £ forms part of the Value for Money evaluation only. This file has been shared by a user of PDF Archive. Document ID: 01925739.